The above artwork is by Hanoch Piven an Israeli illustrator. As can be seen he has a unique style, to say the least. Much of his work is of caricatures of celebrities created out of everyday objects. 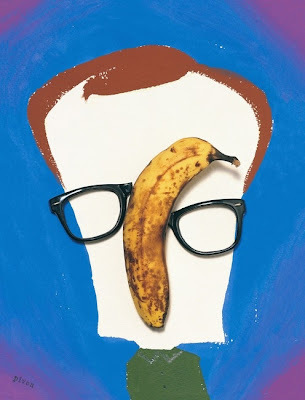 This particular image is of Woody Allen - the banana nose and broken glasses. It's easy to wonder as to how he developed this form of art. It actually came about because of a cross between an accident and a coincidence. "Some objects fell on a drawing I was making. At the time I was struggling with my work. I realized the importance of coincidence in my work. As an artist you need to pay attention to coincidence, to be aware of happy accidents. This was one of the big lessons that I learned." 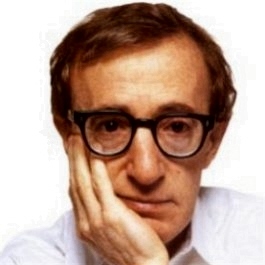 Because of his new found style his portraits were soon featured in Time and The Atlantic. He also attracted work with Rolling Stone and The New Yorker. I guess this is an example of a nudge from the Universe, via a coincidence, to put the artist on track to bigger things. It's a good idea to follow those coincidences if they show themselves, you never know where the journey may take you. There is more of Hanoch Pivens work here plus his prints are for sale. Synchronicity and creativity! So this is the post you were writing up the day we posted midnight in paris?! The story beautifully illustrates how the synchronicity led him to develop his style. Love it. Some of my most loved little creations... came out of what at the time... I thought were mistakes...totally get this...and love when it happens. Remembering to allow it to happen for a control freak such as myself is a challenge. 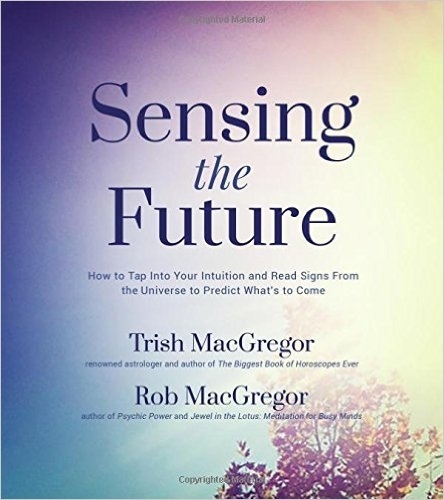 I anxiously await T's book on creativity, and in the meantime I will look to nudges from the universe as best I can. Thanks Mike for this wonderful reminder that things are so much greater than we know if we allow the universe to step in. Like the story and how things work out in life almost by what appears to be an accident.